No, not the subways - they catch on fire easily enough all on their own. But the Globe reports that as the temperature plunged, Keolis turned on switch heaters, some of which blow hot air, but others of which consist of flaming jets designed to keep the switches operable in the cold. Or, more specifically, at the train station. Since the beginning of September, the MBTA has implemented a program at North Station called "Fare is Fair". Read more. Smushed Lowell Line train due to earlier cancellation this AM. Photo by Jeff Durney. A crescendo of complaints by commuter-rail riders about cancellations, delays and overcrowded trains reached a new peak this morning as commuters into both North and South stations vented their frustration online. They joined Lily Goldman, a Rockport Line rider who's been complaining for months now about ghost and late trains on her route: Read more. Ed. note: I originally linked to a story that made it sound like the state wanted to ditch Keolis. The Globe reports that should Charlie Baker run for re-election and win, the state won't extend Keolis's contract past its current 2022 expiration date. But officials say that doesn't mean Keolis can't rebid to keep running commuter rail, just that the state would want to hear other bids as well. The Globe reports Keolis has put several workers on leave while it, the T and now federal safety officials figure out how and why they returned a train that had hit a barrier - with no passengers on board - back into service without repairs, which, of course, led to the train dying in the middle of the morning commute on the Worcester Line the next day. 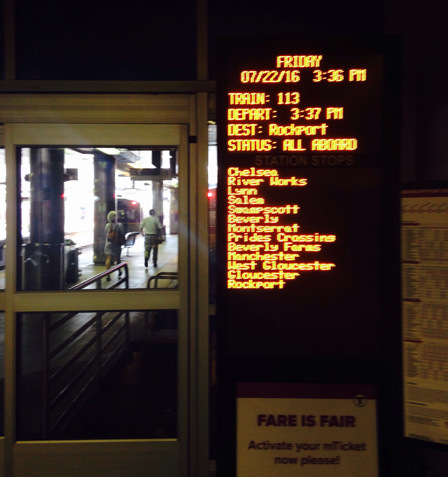 New Commuter Rail schedules - Keolis's master plan to cancel trains with impunity? The MBTA recently released new commuter rail schedules effective November 21st. Read more. Praise to Keolis — not a phrase I normally use. However, I just got a call from their support folk about six minutes after I emailed a complaint. AND she resolved it. This gist centers on a nickel. Read more. 3:50 Reading and 4:30 Haverhill trains cancelled. Latest alert indicates next Haverhill train at 5:35.
keeping their trains running on time. They apparently don't even know the correct order of the stations they are supposed to stop at. The Herald reports the state will pay Keolis $66 million more over the next six years because it turns out the company can't really run the sort of train service we expect for the price it initially bid. The T and Keolis are not very happy with Amtrak today. In an "important" statement on the signal woes that knocked out or slowed service into and out of South Station (including Amtrak's), the local rail operators write: Read more. Got this update from Keolis: Read more. Keolis Commuter Services, which operates the Massachusetts Bay Transportation Authority (MBTA) commuter rail system, finished out the month of October with an unadjusted on-time weekday performance rate of 90.44 percent, the best performance for that month in nearly a decade. A significant number of delays for the month were caused by trains that had to be operated at lower speeds for safety reasons because of slippery rail conditions. When adjusted for slippery rail and other conditions or incidents not under the control of Keolis, on-time performance was 94.44 percent. Tl;dr: Blame the dreaded wheel slip and compressor fault failure for a cascading series of delays on the Franklin Line yesterday morning. 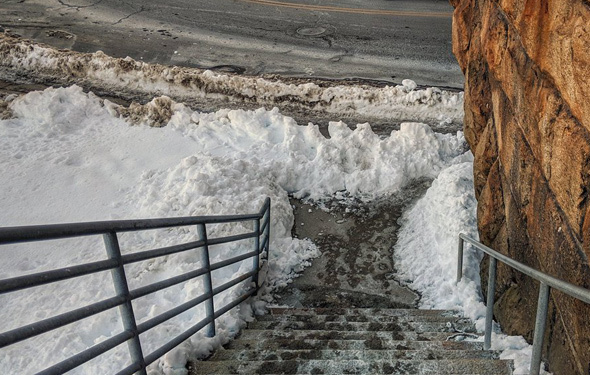 It's that other most wonderful time of the year - Slippery Rail Season. what all those orange spots on the track between Wyoming and Wakefield stations on the Haverhill/Reading Line denote. Read more. that convinced the managers at Keolis that there was going to be snow in the forecast. Judging by the cluster that North Station became at the tail end of rush hour, it felt more like the bad old days of February than early May.